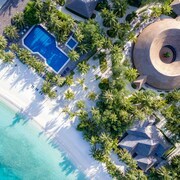 Nestled on the beach, this Lankanfushi Island resort is 0.1 mi (0.1 km) from Gili Lankanfushi Beach and 0.1 mi (0.1 km) from Paradise Island Beach. 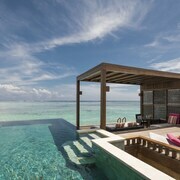 Nestled on the beach, this Lhohifushi resort is 0.1 mi (0.1 km) from Kani Beach. 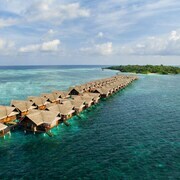 Nestled on the beach, this Chaaya Island resort is 0.1 mi (0.1 km) from Dhonveli Beach and 0.7 mi (1.1 km) from Kani Beach. 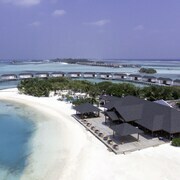 Nestled on the beach, this Kuda Huraa hotel is 0.1 mi (0.1 km) from Dhonveli Beach and 0.6 mi (1 km) from Kani Beach. This Thulhaagiri resort is on the beach, 0.1 mi (0.1 km) from Thulhagiri Beach, and within 6 mi (10 km) of Kuda Bandos Beach and Bandos Beach. 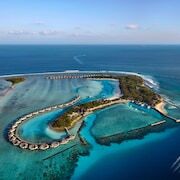 Couples looking to get away will find a romantic atmosphere in Meerufenfushi, and many visitors are sure to appreciate the beaches and restaurants. Tourists to the city can also enjoy its relaxing setting.